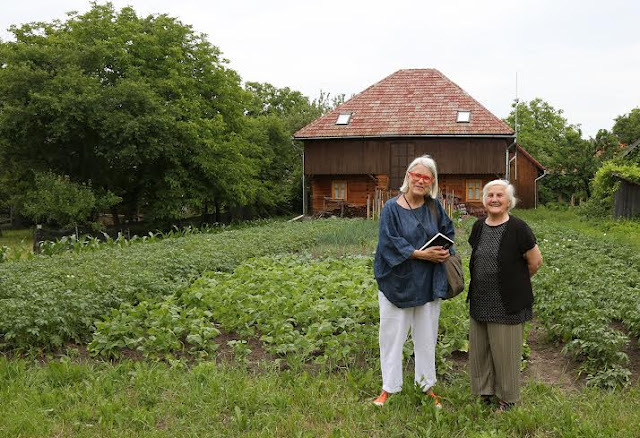 One of the main purposes of my trip to Transylvania was to meet up with some of the movers and shakers in Slow Food Romania. 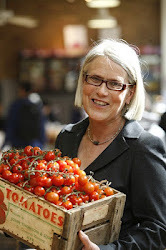 Jim Turnbull established Slow Food Tarnava Mare in 2005 on Prince Charles' request. 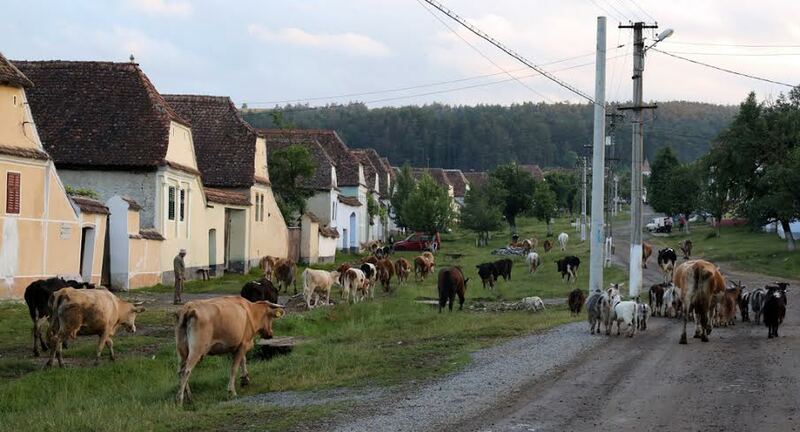 His Royal Highness has been on a mission to highlight the importance of Transylvania’s culture and biodiversity, which has been described as the last remaining truly medieval landscape in Europe. 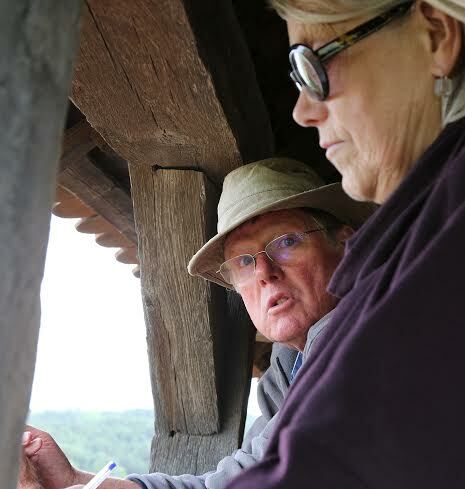 Jim has been involved in development work for many years and has been hugely influential in Transylvania. 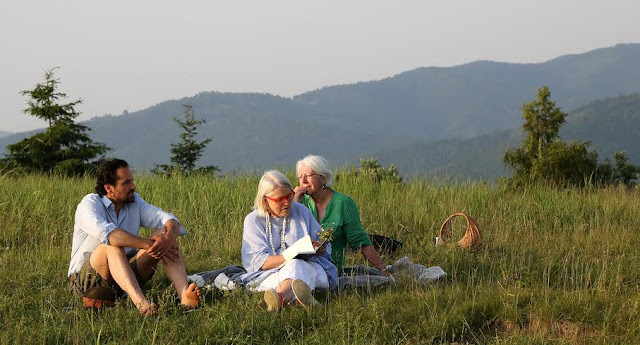 Alexander Roy Chowdhury - owner of Zabola Hunting Lodge, author and food writer, Rosemary Barren, and I relaxing in a wildflower meadow above the forest in the Carpacian mountains. The ecosystem and biodiversity of this area is unique. 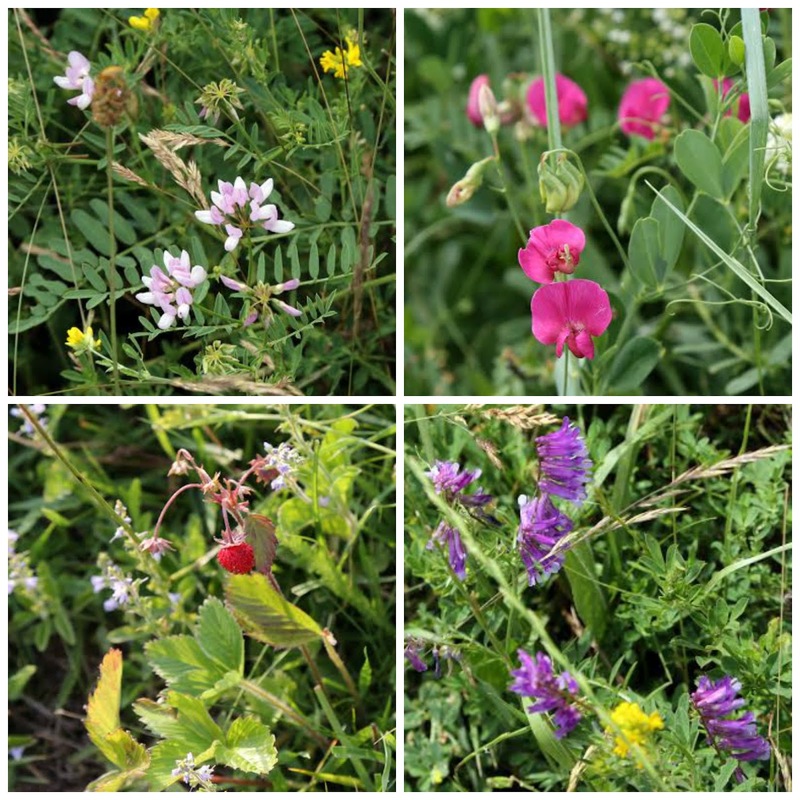 The shepherds tend their flocks of sheep and goats in wildflower meadows teeming with butterflies, numerous wild flowers, grasses, herbs and intensely flavoured alpine strawberries, you can’t imagine how beautiful they are at this time of year. The small Saxon villages have virtually no shops; every family has a vegetable garden with vegetables interspersed with flowers and fresh herbs. The colour-washed houses, each with a unique decorated gable end, are built at right angles to the road with an inner courtyard, a long barn and a fruit orchard behind. Most people still have a few hens, ducks and geese, a cow for milk, several pigs. 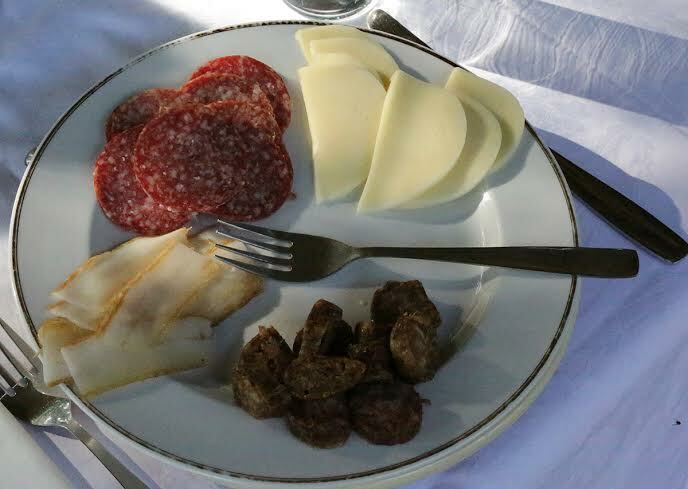 Sheep are cared for by local shepherds in exchange for fresh cheese and several carcasses throughout the year. 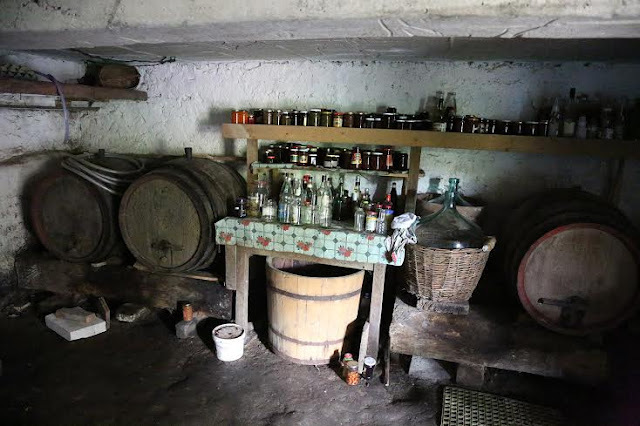 Every house has a woodshed packed with timber and a cellar packed with preserves. 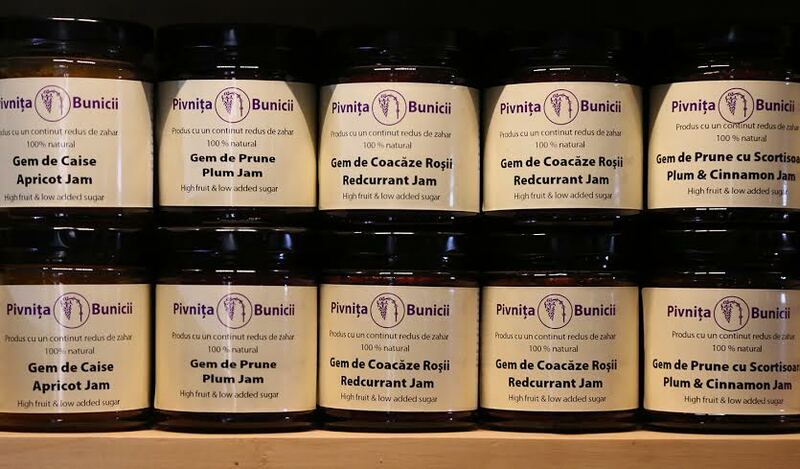 The summer and autumn vegetables are preserved for winter in the form of jams, cordials, schnapps, pickles and chutneys. Nothing is wasted. 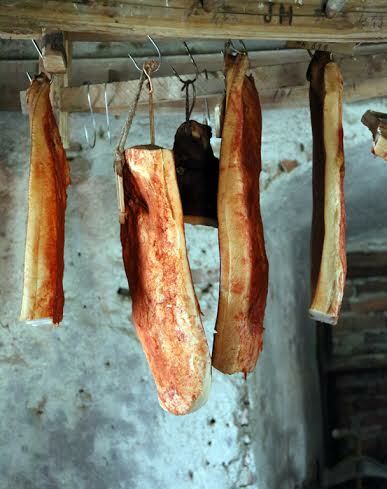 Thick slabs of pork fat, slamina, are cured with salt and sprinkled with paprika, an age-old tradition. In this part of the world tourism is in its infancy but gradually bed and breakfasts are opening in people’s houses. Owners are friendly and anxious to please but are often unaware of the niceties that many travellers have come to expect. In one the plumbing in the bathroom left much to be desired, there were no bedside lights or plugs, and just one bulb from the ceiling, but the welcome was warm and the food delicious. In another grander establishment there was a bath-robe in the wardrobe, a fridge in the huge room and a flat-screen television but we were locked in to the deserted hotel at night and locked out during the day. We had to borrow extra pillows and loo paper from another bedroom, but we accepted all this with good humour as part of the adventurous experience. We were intrigued to find that even though we spent two or three nights in each place our room was never cleaned or serviced at any stage. However accommodation particularly in the villages is still very inexpensive, as little as €25 a night per room including breakfast. It was fascinating to try to understand the challenges of the emerging tourism industry. 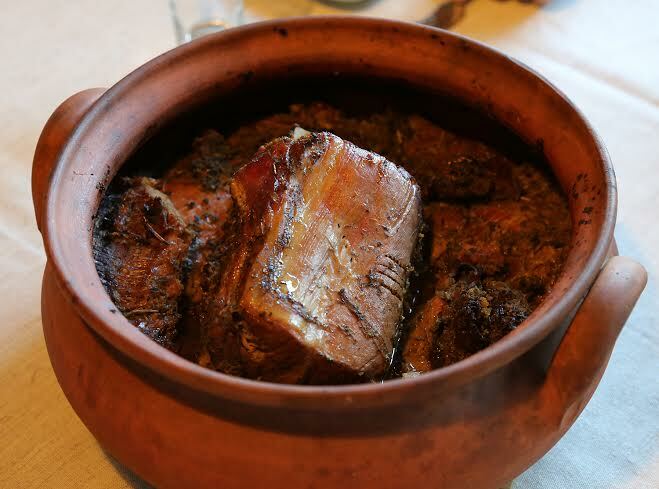 Up to very recently restaurants simply didn’t exist in the tiniest villages but now thanks to Jim Turnbull and a team of trainers, several private houses have opened their kitchens to serve lunch and/or dinner to guests who must book ahead. 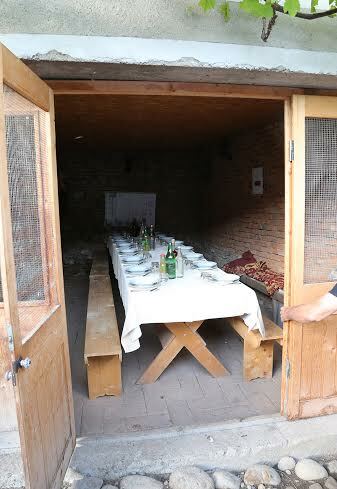 They also came up with the brilliant concept of ‘courtyard dining’ where they set up a table in their courtyard or farm building to serve simple family food. We enjoyed both these experiences enormously. 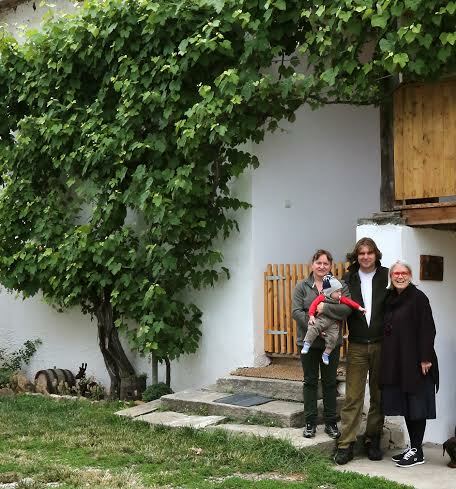 Jim is the leader of the Tarnava Mare Slow Food convivia who hold monthly courtyard dining events in local people’s houses, the aim of which is to showcase traditional Romanian family food, supplement their income and raise awareness of their food culture and heritage. Before my visit, I had been warned not to expect too much from the food but in reality we had many good things to eat, lots of hearty meat dishes and cabbage rolls, a variety of sausages, cured meats and cheeses. 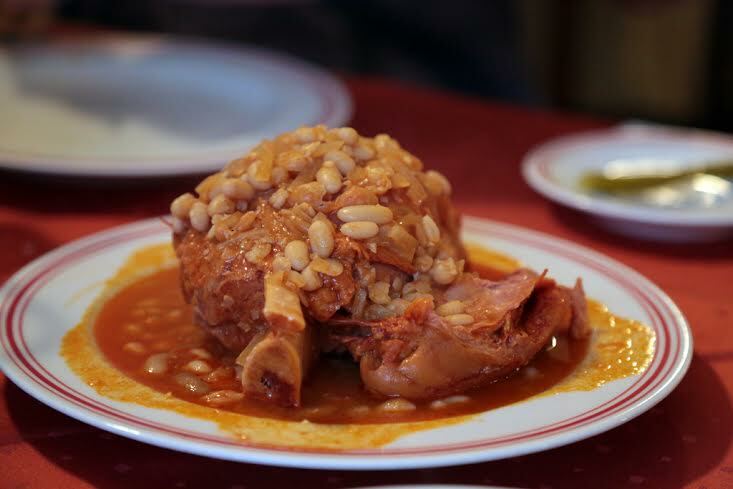 The food is robust, hearty and full of flavour with little in the way of flamboyant garnishes. For breakfast it’ll probably be a selection of sausages and cured meats, a couple of local cheeses, thick slices of Saxon bread and a selection of homemade jams: rhubarb, Cornelian cherry, apple and cinnamon, strawberry… Although the jams tend to be thoroughly cooked to ensure maximum keeping time rather than freshness of flavour, we did come across some spectacularly good preserves. 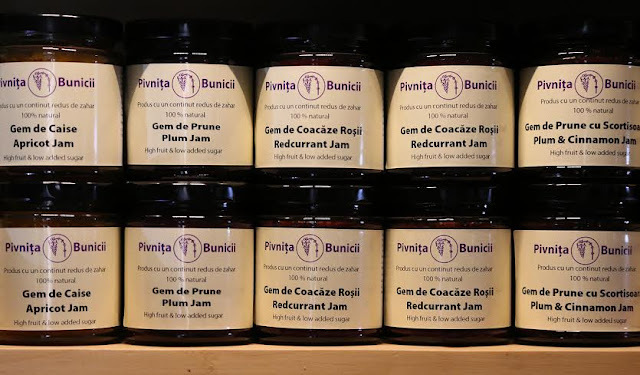 I particularly liked the apple and sea buckthorn jam made at Jim Turnbull’s factory, Pivnita Bunicii in Saschiz, in a project set up to capitalise on the local skills of jam-making. 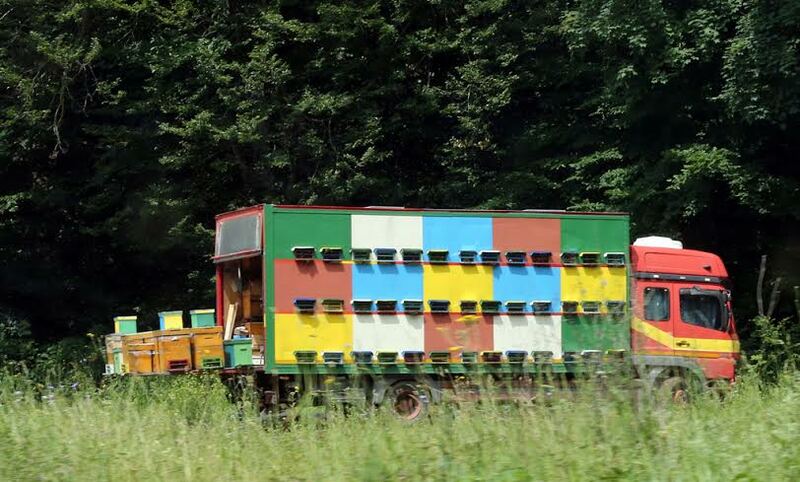 He has also coordinated local people to pick wild elderflowers which are pressed and made into a juice that is exported to the UK, enhancing the livelihoods of local people in a sustainable way. Every house would have had a wood burning oven and many still do. 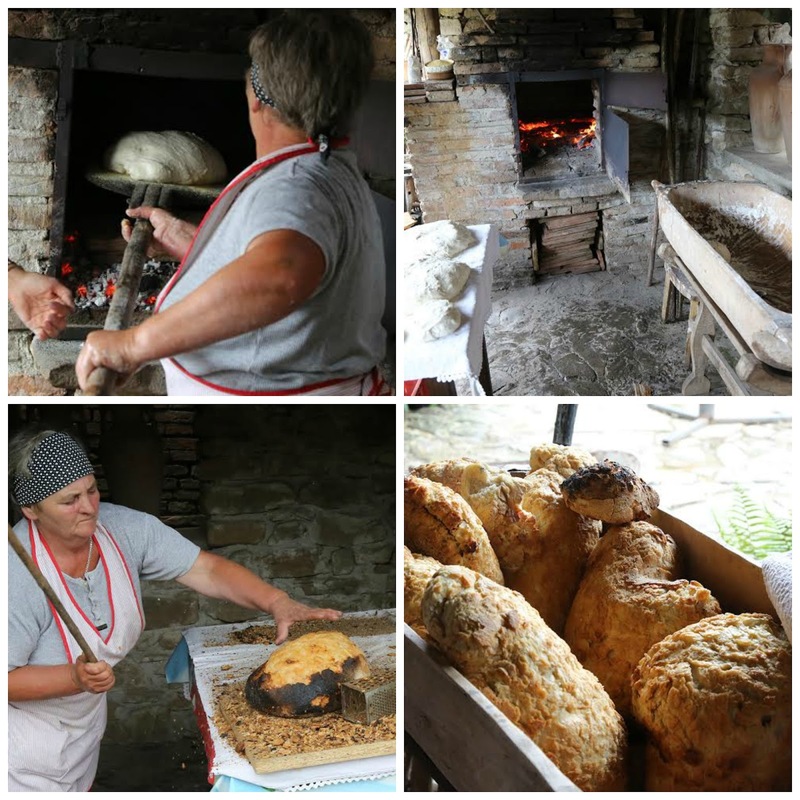 The baking tradition is alive and well but it’s mostly the mothers and grandmothers who are keeping the tradition. The large Saxon loaves of sourdough bread are traditionally made in a large wooden trough with a mixture of wheat flour and sometimes potato to enhance the keeping quality. Main meals are simple and very meat-centric. Robust stews of venison, pork, beef and a particularly memorable lamb, pepper and paprika stew with polenta cooked over an open fire in a wildflower meadow near Mosna. 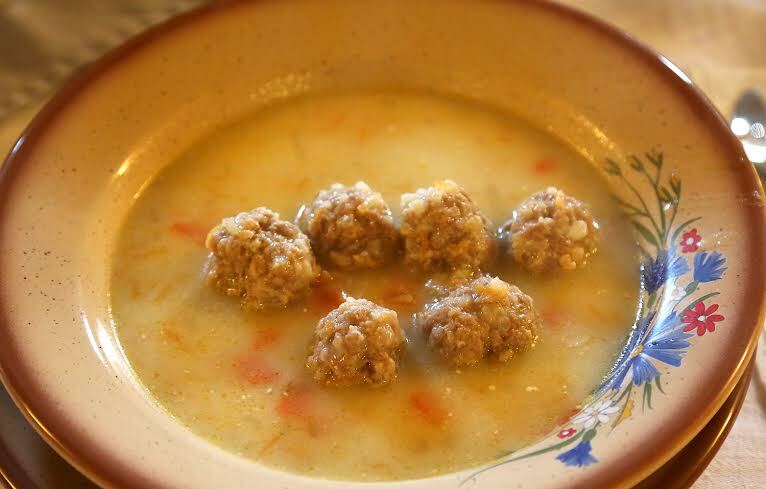 The meal often starts with a chorba, a ‘sour’ soup of some kind: beef, lamb, pork, bean and sausage, chicken and noodle, meatballs. I enjoyed virtually all of these. 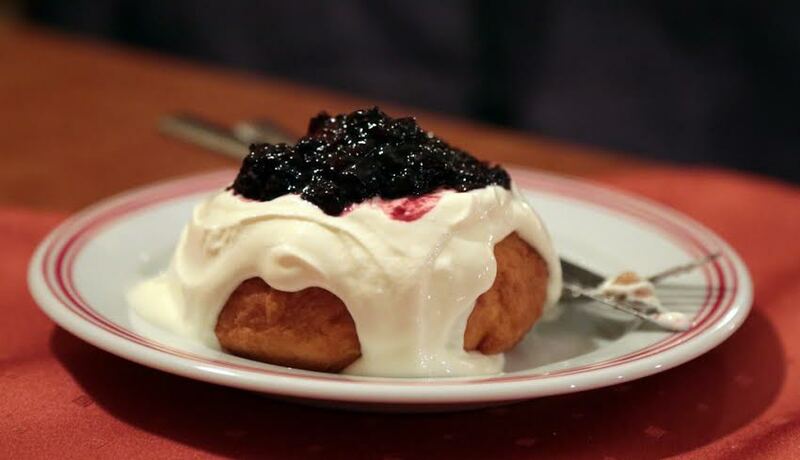 We also ate mămăligă similar to polenta sometimes layered with cheese and topped with smetana or sour cream and sometimes served on its own. We had no fish, although I believe there are plenty of perch and carp in the lakes. Desserts were a variety of fruit tarts, pancakes stuffed with jam or fresh ricotta cheese and dill, a delicious combination, or papanash, a sort of doughnut topped with jam and smetana. To drink there was a variety of homemade schnapps and cordials, and tea. 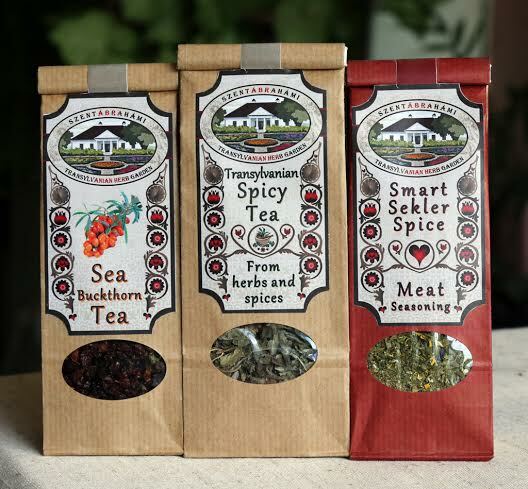 Though tea in Romania does not mean black tea as we know it but a mixture of dried herb teas, mostly home made. Transylvania is fascinating to visit, it has much to teach us in these frenetic modern times. It is at the cusp of change - still teetering between medieval and 21st century. Go soon! 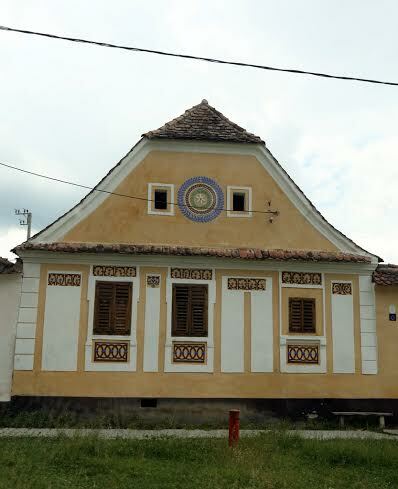 *See Transylvania business co operative Facebook Page for links and resources of places to eat, visit and stay. ** See my first post on Transylvania here. food is very important for our health and that's history is very well written thanks for posting this article .